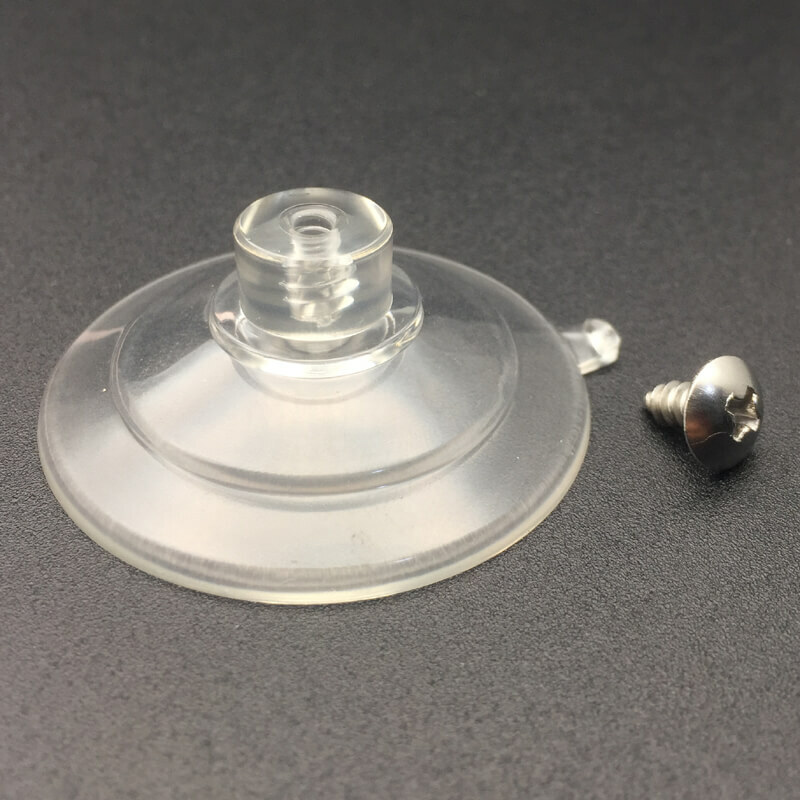 Step 1: Buy Suction Cups Bought two of these at amazon for $1 each. 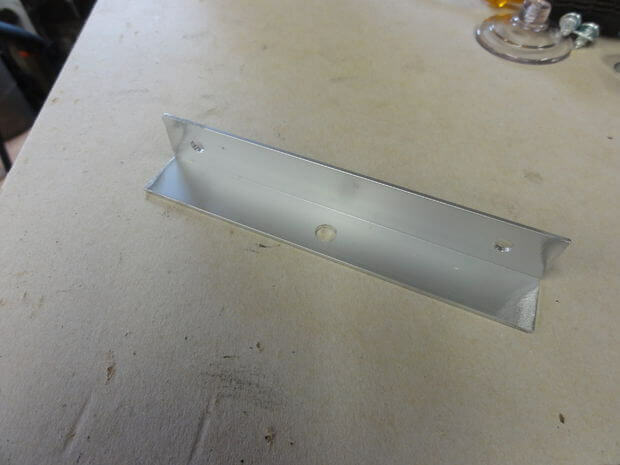 I used a piece of aluminum angle I had lying around and cut it to about 4″-5″ long. 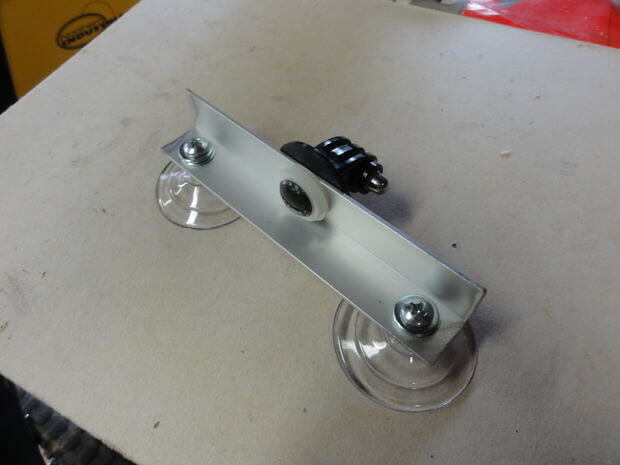 You could also use a piece of 1″x1″ wood or other material. 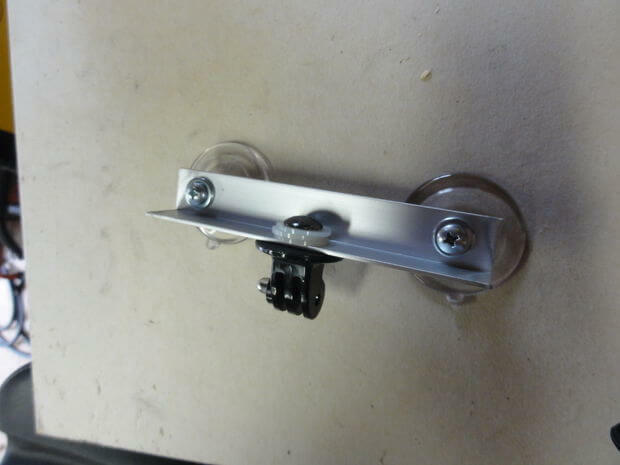 Also drill a 1/4″ hole for the camera mount screw in the center of the strip, but perpendicular to the suction cup screw holes. 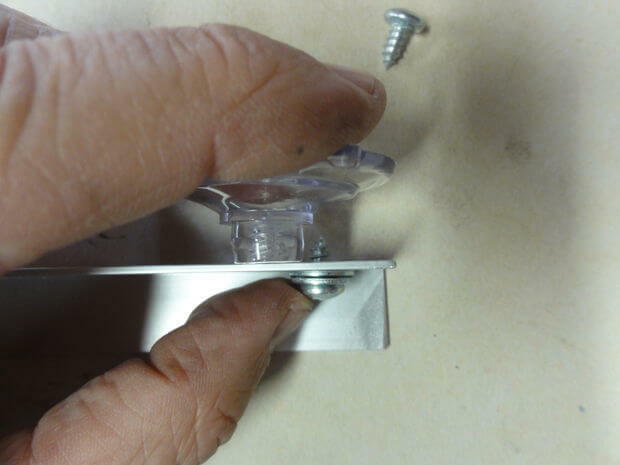 Just make sure the screws don’t penetrate the back inside surface of the suction cup. 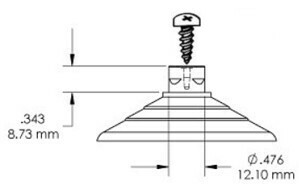 This takes a standard 1/4″ -20 thread screw. 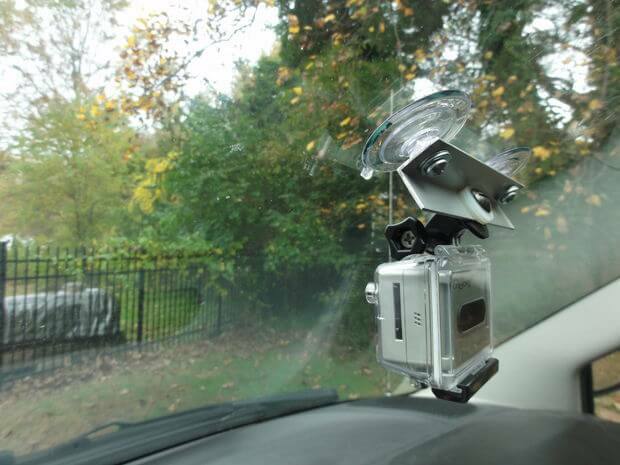 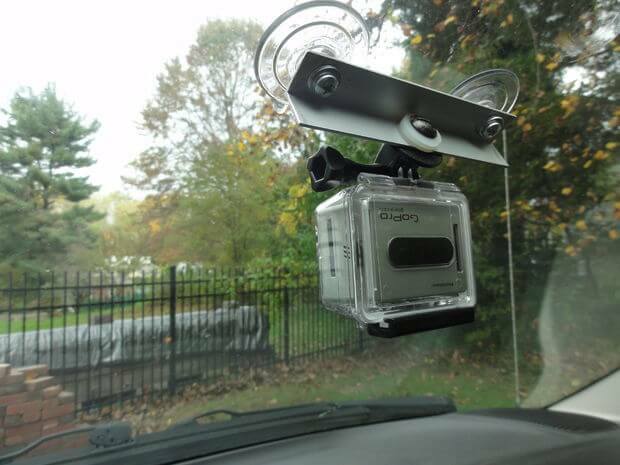 I have used this gopro suction cup camera mount for timelapse as well as video.